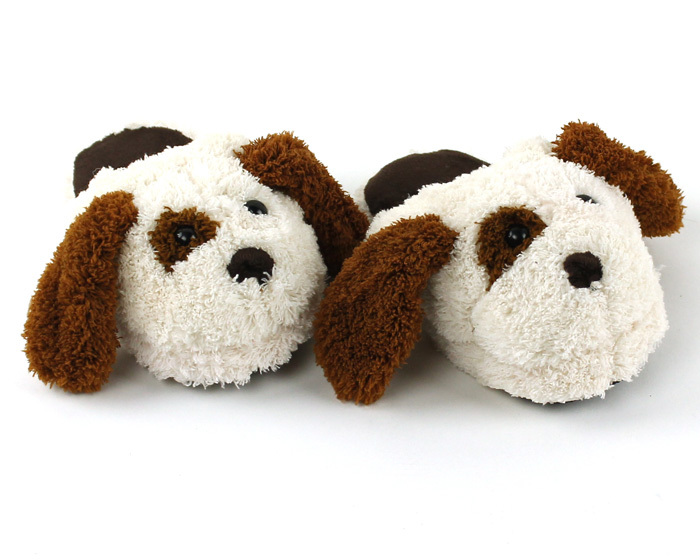 These Kids Dog Slippers are not only adorable, they're warm and comfortable too! 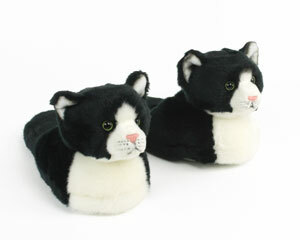 Soft and plush materials cradle their paws, while the thick footbed offers support. 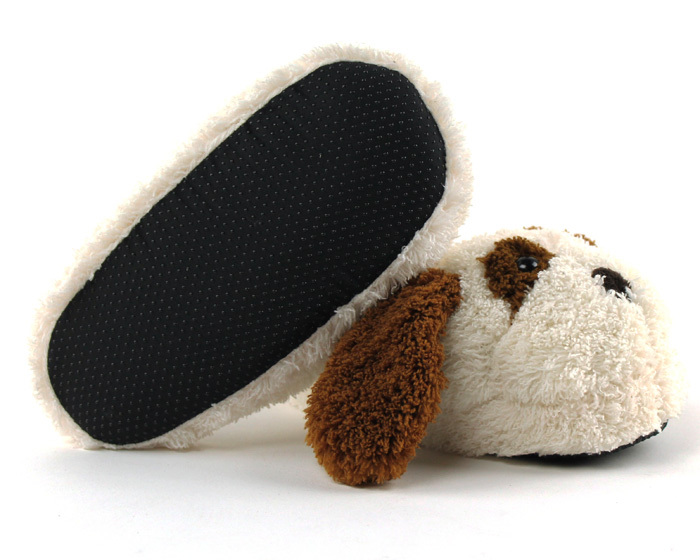 The non-slip sole will keep your pup on their feet as they run around. 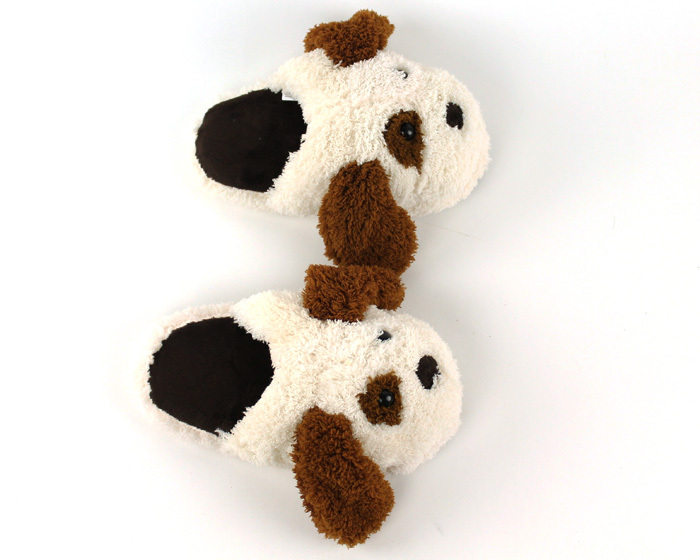 Floppy ears, a darling eye-patch, and sweet smile all contribute to the charm of these Dog Slippers. 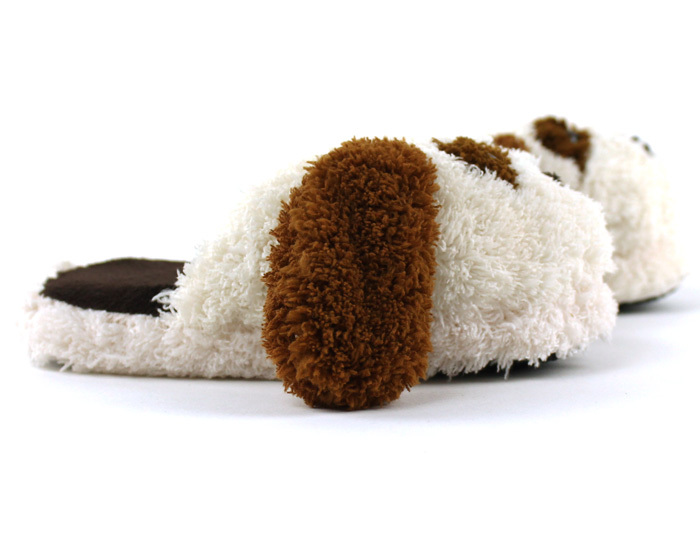 Give your little one something they'll bark in joy about! 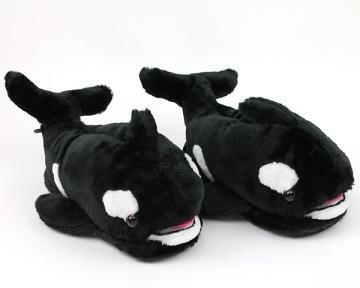 Grammie got these for He Who Shall Not be Told No (my kid). He's wearing the heck out of them. 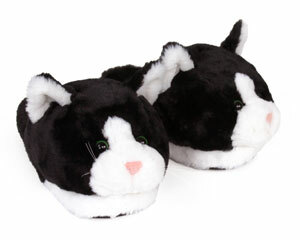 Sleeps and plays in them, wants to leave the house in them but... I told him no. My hearing is still paying the price. I mean, really dude?